With fall in Aspen come a multitude of great deals in most every consumer category, from spa treaments to dining, and everything in between. 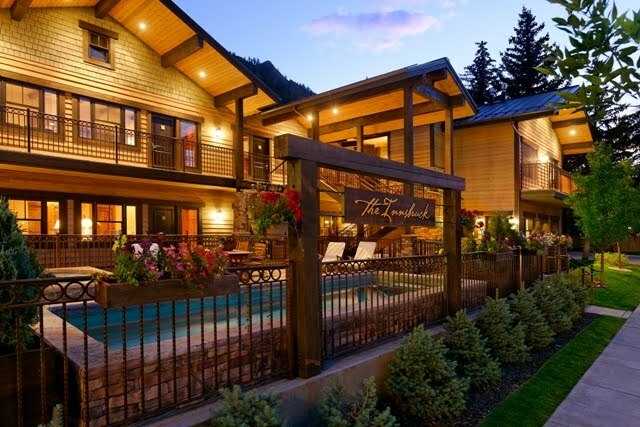 The first fall deal we would like the highlight comes from The Aspen Club and Spa. This renowned spa and fitness center is offering 25% off spa treatments, 10% off on Aspen Club Boutique purchases, 10% off SalonAspen services, and discounts on personal training and fitness classes. For $99.00, you can purchase a day pass and receive a 50 minute massage, which when combined would normally cost well over $200. The day pass allows you to access the fitness area, lap pool, cardio deck, steam/sauna/Jacuzzi, and racquetball/squash courts. Next we would like to highlight some of the many dining discounts that surface during the fall season. While most every restaurant offers some kind of discount, we would like to highlight some of the stand-outs in terms of value. Elevation and Lu Lu Wilson are two great American Bistro-Style restaurants that are very popular with locals and visitors alike. Both of these establishments are offering a 3 course $35 prix fixe menu during the fall off-season. If it’s Asian food you’re craving, head to Asie Asian Restaurant, where they are offering a 3course prix fixe for just $29. For a pub-style experience, give Zane’s Tavern a try, where you can get a burger and a Bud for the low price of $8.95. If it’s Italian food you desire, Mezzaluna is a great place to try. They are offering 2 for 1 dinner entrees for the duration of fall. These are just a sampling of the many great restaurant deals you can find during the fall season. Let’s not forget the truly amazing deals you can find in retail though. During the fall many stores in Aspen are doing their best to rid themselves of both their summer inventory AND last years winter inventory, which provides attentive shoppers with many great opportunities. Isn’t it great that you can use these fall sales as an excuse to buy both a new bike and a new pair of skis, all in the name of being a savvy shopper? Last but not least we would like the highlight the heavily discounted live entertainment that comes to Aspen during the fall, particularly at the Belly Up live music venue. Many shows at the Belly Up during the fall are either free, or very cheap considering the quality of both the performances and venue itself. The Belly Up has a knack for finding up-and-coming musicians who, being in the beginning stages of their career, are not yet to the point of commanding a cover charge in order to see their shows. Yet just because they are not a household name, does not mean that they won’t put on a great show. In the course of just one season I have seen a band free of charge, only to see them return a few months later and command a $20 cover as they rise from obscurity and gain credibility. Most importantly, don’t forget that the earlier you book your winter stay with The Innsbruck Aspen, the more you will save! With just five weeks left until opening day for the 2010/2011 ski season, The Aspen Skiing Co. has announced this year’s on-mountain improvements and policy changes that we all can look forward to. For starters, Skico has announced a policy change allowing for “sunset” skiing which will go into effect starting on March 18th. With this new policy Skico will keep one of their four mountains open until 6 pm every Friday from the 18th of March until the end of the season. For those interested in learning half pipe, Skico is going to offer a less intimidating option than the already available 22-foot super pipe located at Buttermilk, or the 18-foot pipe at Snowmass by building a more accessible 12-foot pipe at Snowmass. Snowmass will also be the beneficiary of Skico’s newest toy, the $450,000 “Beast” which is a groomer that covers twice as much area as a traditional groomer. This will help Skico work towards its goal of reducing its carbon footprint while keeping their amazing grooming capabilities intact. The popular Ullrhof restaurant located at the Big Burn area of Snowmass has undergone both a culinary and structural remodel, which will provide customers with a more efficient and delicious on-mountain dining experience. According to the Aspen Times “the menu will feature gourmet hamburgers, hand-cut French fries, and milkshakes,” in addition to other items. The layout has been improved so as to increase the efficiency of the dining experience. The Snowmass Village arrival center will be completed despite the stalled base village development. With the new arrival center, bus passengers will be able to access the ski lift area via an escalator. Those parking in the new parking garage will be able access the lift via an escalator as well. At Highlands ski area, Skico will now offer ambassador guided hikes into Highlands Bowl in order to facilitate guests that might otherwise be intimidated by such an adventure. These tours will take place every Wednesday at 11 a.m. depending on weather conditions. Last but not least, Skico will offer lift serviced skiing at Aspen Highlands until April 23rd, which is a whopping three weeks longer than usual. This makes the 2010/2011 ski season one of the longest seasons ever! Now that the peaks around Aspen are dusted with snow, it’s time to start planning your ski trip. This also means it’s time to start thinking of a ski conditioning program that will allow you to get the most out of your time on the slopes. Even the most well-conditioned individual will experience soreness and fatigue after their first days of the season. While the reasons for this vary, one thing we all have in common is that most “traditional” activities we participate in during our time away from skiing, be it running, biking, squatting, lunging, etc, lack the lateral movement present in skiing. When you think about turning down the hill, it’s quite obvious why many traditional exercises won’t prepare you for skiing. During a ski turn, a person ideally would place about 80% of their weight on their down hill ski. This requires a lot of strength in the outside of the quadriceps muscle. So developing lateral strength and endurance in the legs is a fantastic way to start developing a ski conditioning program. Some great exercises to develop lateral strength and endurance are side squats, roller-blading, ice skating, side-plank, and simply jumping over an object from side to side. When performing these exercises it is a good idea to practice good skiing posture. This involves keeping the abdominals tight,shoulders squared, with an upright posture from the waist up, all while keeping your hands out in front like you’re driving. This leads us to two other key elements in a ski conditioning program, those being core strength and balance. In order to achieve and maintain the aforementioned “ski posture,” it is crucial to develop strength in the abdominals and lower back (core) and to develop good balance. This can be achieved through all sorts of abdominal workouts and balance exercises. Some of my favorite abdominal exercises are leg lifts, planks, and the “ab-wheel.” Balance can be developed in a number of ways, such as simply balancing on one leg, using balance balls on which you can perform various excises, and using a balance board, just to name a few. I also find it very helpful to incorporate both muscle building and endurance exercises in your program. By building strength you will be able to respond quickly on challenging terrain and prevent injuries. Endurance will help you go the distance at high altitude. Of course the best way to get into shape for skiing is, well, to ski. But by placing an extra emphasis on lateral movements, core strength, and balance in addition to your traditional workout, you can rest assured that you will be best prepared to get the most out of your ski trip in Aspen and leave your friends in the dust!